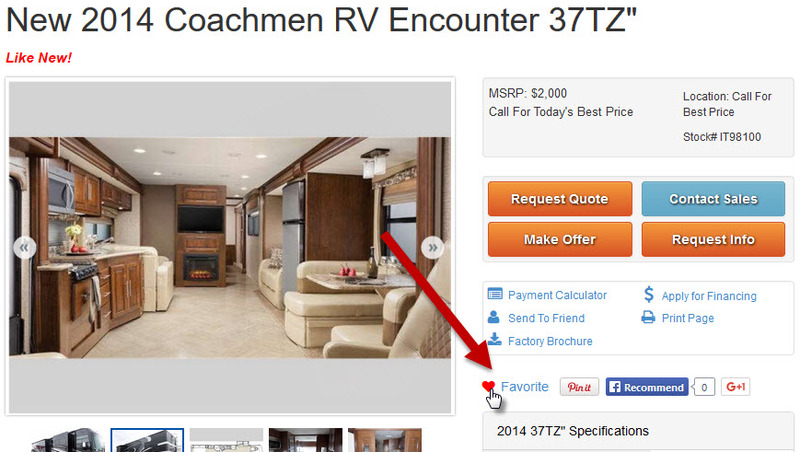 Now your customers are able to select one or more RVs as a favorite! The favorites are nicely kept in a redesigned floating toolbar. 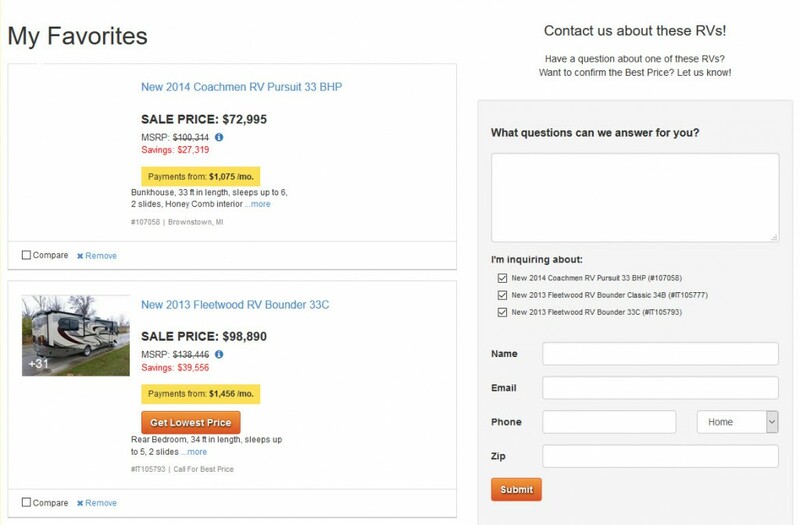 This makes shopping for an RV easier than ever. 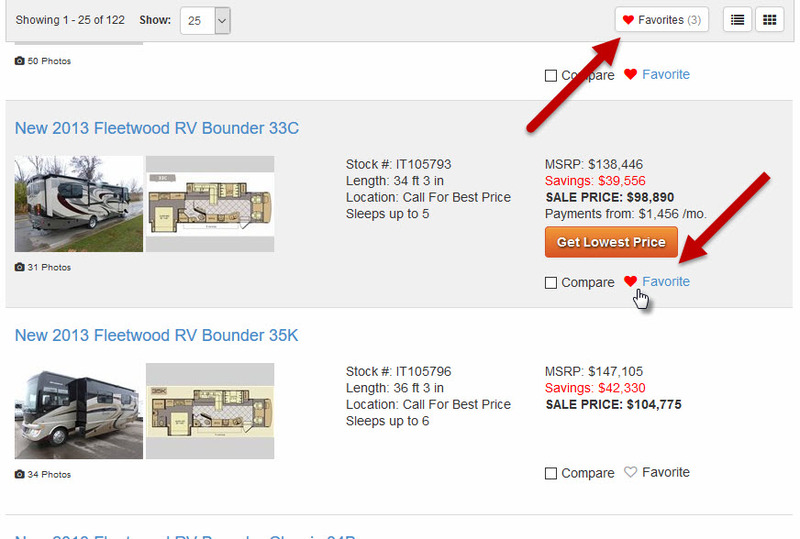 Once the shopper has selected one or more favorites, they are easily able to contact you about all of their favorites at the same time!